The major competition, according to untold Google searches, is that the BOSE A20 is now the king of the hill. I tell you what, I almost agreed and got drawn into the mega marketing that is BOSE. However being one of those types that has to research and research until finally the point comes where you try yourself then research again, I made a different decision. The Lightspeed Zulu across the broader criteria suited me the best. To qualify my position, I’m a huge BOSE fan. I have a BOSE Acoustimas 15 surround sound system in the living room, a pair of BOSE 251 SE outdoor speakers by the pool and my iMac lets itself be heard through a set of BOSE Companion 5 multimedia speakers. So the BOSE headsets were almost a given. A close friend who is a commercial pilot who transverses the pacific at least weekly (in Boeings) even said, you gotta get BOSE. Having spent the first few hours of my somewhat short flying career wearing flight school David Clark’s, I knew exactly what I didn’t want. They were inverse to the above criteria. When you cut through what the large community of evaluations say (consider only those that are not flanked by BOSE advertisements), you get a picture than these Lightspeed Zulus have the overall edge of the Bose A20s. There are tonnes of real pilots who have used and tested both. Me, I can’t argue with those using them hour in and hour out, but I can form my view. On the lightness and comfort, noise cancelling and mic, it was near impossible to differentiate. The test I used was to validate these criteria was to put on the headset, make a phone call while the kids argued and look to “dad” for mediation, then assess the ability to conduct the call. Well the noise cancelling ability removed their pleas for intervention and I could conduct the phone call in peace. Actually the Lightspeeds Zulu had better sound cancelling than the Bose A20 with this test. Then the sound quality, you have to hear the Lightspeeds in action, they are just amazing. Music playback is just fantastic. Over bluetooth its pretty good, but if you plugin the extenal input adaptor, wow! With my new “Flight Sound X” usb adaptor, music playback from the computer was exceptional. These things would rival my Sennheiser HD600 headphones for sound quality, just incredible. So on that cross country flight, long hall trip or the drone of your Lycoming power plant, fire up some music in your Lightspeeds and you’ll be amazed. When Perth Radar decides to interupt, the music drops away and you hear the full radio transmission. Sweet! So, a few points to finish up. Since having the Lightspeeds, I can’t recall them even featuring entering my conscious thought while in the plane. My flying instructor now has ordered a pair. When he went to the aviation shop onsite at Jandakot, there were none left as the Royal Flying Doctor Service (RFDS) had bought them all up as the preferred headsets by their flight crews. Do yourself a favour, look more broadly than strong marketing opinion and consider giving up where history mis-guide your choices, buy the Mac… I did and have never looked back! 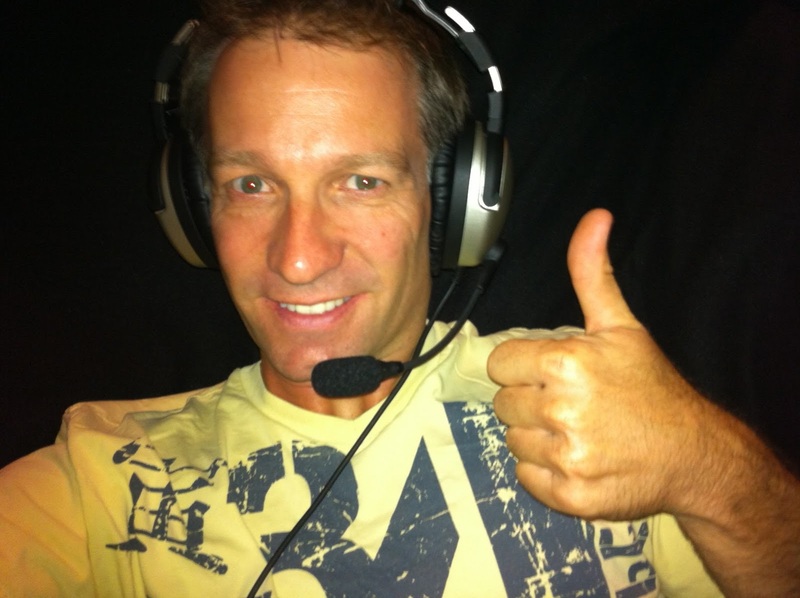 This entry was posted in lightspeed zulu versus bose a20 aviation headset best choice compared. Bookmark the permalink. – “They should just be there, like your jocks” – so we can now draw the conclusion that you are definately an ‘aviator’ not a ‘commando’?! – I would be curious to see your test scripts for evaluating the sound cancelling efficacy of the headset during your kid’s argument. Did you provide them some standardised argument-causing ‘data’ (e.g. only one of you is going to get an icecream – you choose who), or did you just rely on natural causes? thanks for the information and the excellent articles on your adventures! I’m currently working my way through your articles while I’m doing my flight training. Like I assume you are, I am absolutely 100% hooked on flying! Quick query re: your headphones: do you have trouble hearing the stall horn with the noise cancellation feature? During stall training I found it very difficult to hear the initial stall horn (you know – when its not really honking at you) without noise cancelling headphones, so I wonder how difficult you find it with it? That’s a fairly good point re: frequency of stalling. I’m sold, will have to go get a pair this weekend! Good luck with your ongoing adventures! Hey Tim, did you get yourself those lightspeeds. Be interested in hearing your feedback. My instructor Adam bought some, but there is a noticeable difference in the audio quality (for the negative) than mine. Noise cancelling is better though.